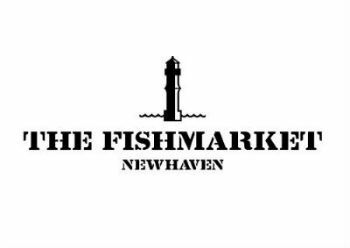 Proper Seafood Restaurant located in the heart of Newhaven Harbour. The "Whale" sized haddock was smaller than my local fish & chips shops standard size. Lovely staff, and the halibut special with asparagus, new potatoes and wild garlic and almond pesto was absolutely delicious. The staff were wonderful and the Fruits of the Sea were the best we’ve ever eaten. Thank you so much. Table was booked for 2:30 did not get food until 3:45. Waitress seemed like she didn’t want to be there. When we arrived early we were told to wait outside, instead of maybe go to the bar and wait for a table. Food was good when we got it, but definitely will not be going back. Wonderful fish and chips. The best!!! We read a rave review in the Guardian about the food but our lunch was disappointing. My mussels were ok, my husband's chicken goujons dry and our crab claw unexciting- just crab in batter served with big standard mayo. Service great but main event, the food very underwhelming. Sorry! All the fish was very fresh and well prepared. The Caesar salad was one of the most disappointing I have ever eaten: masses of lettuce and very little else. Very boring! We felt the service was poor: the waitresses should have been able to explain the sauces and the cocktails but had no idea. Our waitress brought a glass of wine to the table when we had ordered a bottle. We waited ages for our bill. Tables in centre a little too close together. Difficult to have a private conversation. But otherwise a very good dining experience with excellent food. The quality of food was very good but everything else was poor. On arrival I informed a member of staff I had a reservation for 5.30pm, this received the response "I will need to check that" - I think she may have been trying to be humorous but it didn't really work. My wife requested a cider but we were told none available without ant real apology. Service very slow, we ordered fish and Chips and waited over half an hour. When the food arrived it was excellent. Tables around us not cleared after other customers left and place was a bit messy. All in all a bit of a disappointing experience. Food was 100% Amazing - Fish was phenomenal. 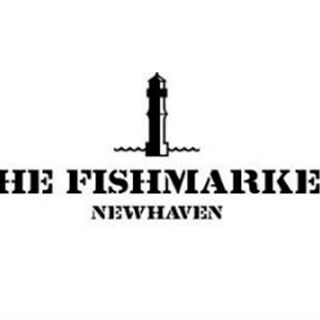 The Fishmarket has a very conscientious and hard working staff- they know the job. Have patronised this place on many occasions since the opening. This time around after being served our initial order of oysters during the Happy Hour we were told that subsequent oyster orders can only be had at the bar. We were taken aback as it was not our first time and no way on the website or menu does it state such a policy. We were subsequently served the next oysters at our table anyways but if management is to suddenly change their policy PLEASE update your website and do not inform your customers mid meal of a policy change. It really leaves a bad taste and impression overall! We really enjoyed the food, when it finally arrived and would go back on the basis that the food and location are both good. But the service does need improving (unless they were all having an off day!). Despite 3-4 waiting staff, the  service was very poor. We were ignored, they took ages to ask us for our drinks order and our food took so long we suspect they had forgotten about us. When we finally managed to get the attention of someone to ask when our food would be coming, the waitress didn’t come back to update us and we had to ask someone else. One waitress did give some excuses but no apology was offered. It’s a small but very effective gesture! It was an excellent meal with a lovely view! It was the perfect spot to begin a trip to Edinburgh! Superb, we brought four friends an we all absolutely loved it, nothing could be improved. Very nice dinner, although to be honest, there was very little difference between the standard, large and whale sizes of fish, they all looked the same to us. Excellent meal again  in a great restaurant. Service a bit random. Water offered at the start but no one came back to refill. Question re tartare sauce was never answered. Some Staff seemed to be around and about but not focused on tables/customers. Fish excellent but need to improve quality of chips. Really enjoyed it, will definitely be back! !